Something tasty is cooking at Pixelily Designs, Gotta Pixel store. 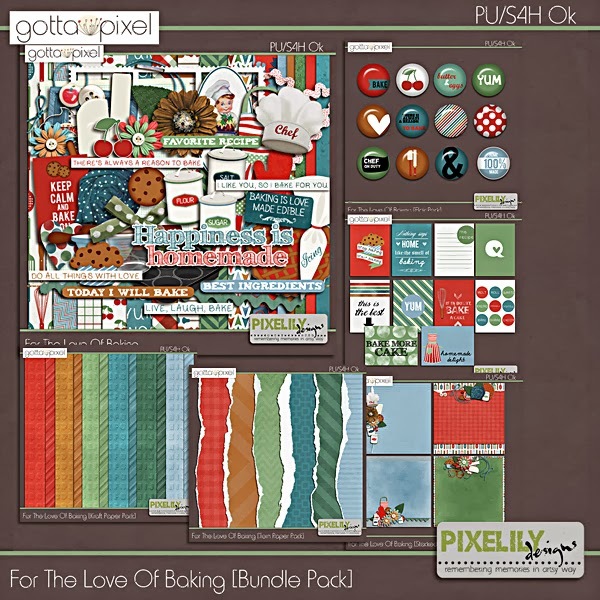 Love this delicious kit called For the love of baking. I wish I have the time and the tools to bake more. I seldom bake but when I do, it's only this tasty chocolate cake. It's a recipe from my mother. Grab them at 59% off now at gotta pixel! 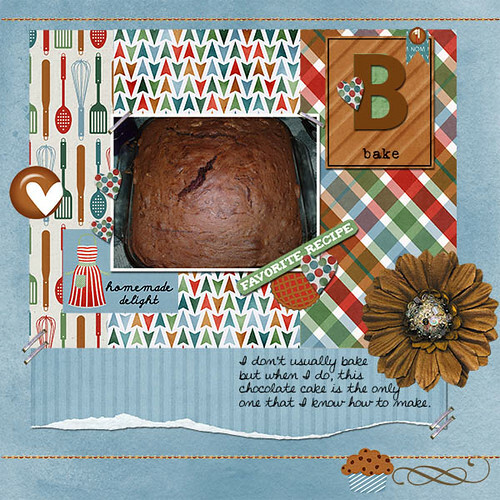 Hope this layout will inspire you to scrap more about your love for baking or maybe go out and eat cakes! Yummy! Have a beautiful and creative Wednesday everyone!